My unique workouts will guide this amazing tool we call our body to move purposeful in all directions, over, under and around things, light-footed and agile but strong and controlled like a ninja. Much of my workouts are done barefoot as I believe that every single little piece of our body has a function, every finger and every toe has a job and connects to all the little stabilizing muscles in our limbs. The stronger those little pieces are, the stronger we are as a whole. This is the basis of my training – from the tips of the toes to the fingertips. These movements and exercises are set up to take an advanced athlete to an elite one, but also turn the house wife, office worker or CEO into athletes in their own right. When I was in Mexico two years ago, I was riding a bike in the dark and my bike wheel hit a gap in the sidewalk and I went flying. I would have surely landed on my face the way I was falling but avoided it because I landed like a cat on all fours and was able to catch myself before my face hit the ground. All that fingertip training, cat tucks and core work saved me from a very painful and scarring situation. 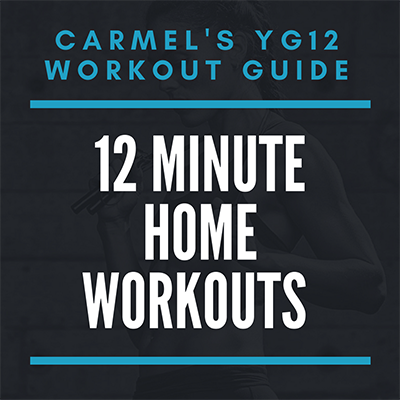 No excuses, everyone has 12 minutes! When the workout is short but intense, you focus your mind and your muscles.